WHY INVEST IN BUSINESS INTELLIGENCE? New to Business Intelligence (BI)? Want to know the difference between BI and standard Reporting tools? Click below to learn more. Complement your ERP solution by unleashing insights hidden in unstructured data. With a sound BI investment, you can hone operational performance, sharpen customer-centricity, and focus on developing new competencies. At AFON, we'll help you set up and support enterprise-grade BI and Reporting solutions for your ERP system. SAP® Lumira: Slice it. Dice it. Visualise it. 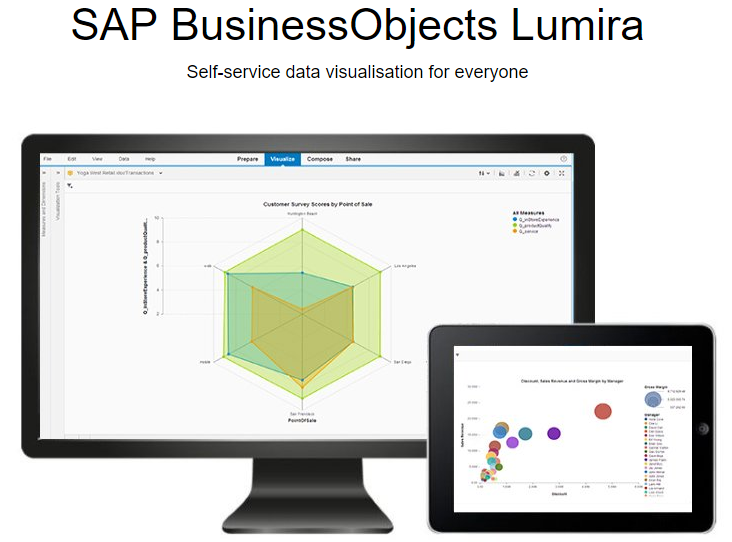 Discover hidden trends and data outliers with SAP Lumira. With beautiful shareable data visualisations, SAP Lumira lets you extend the power of data for strategic decisions and ad-hoc analysis. Apart from SAP HANA, Lumira also draws data from a wide range of data sources, including Excel, SQL databases etc. Create high-impact Excel reports from any point in Microsoft Dynamics NAV – even add-on and third-party modules. 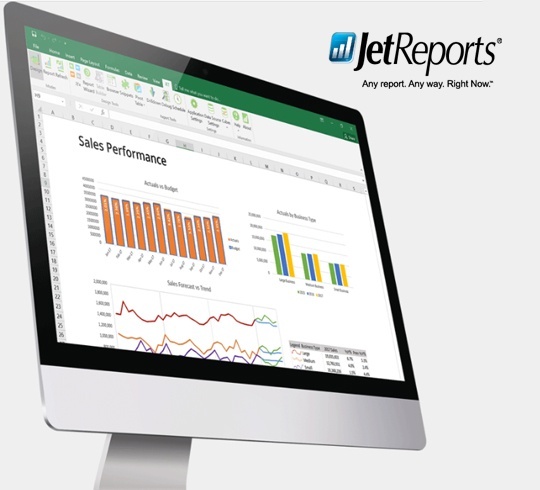 Or use Jet Enterprise for BI, and turn data into insightful reports and dashboards. 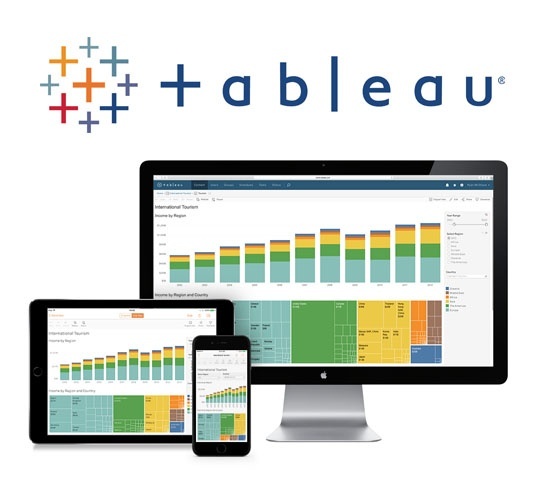 The leader in Gartner’s Magic Quadrant for BI and Analytics for several years, Tableau transforms big data into gorgeous, interactive dashboards for instantaneous insights. 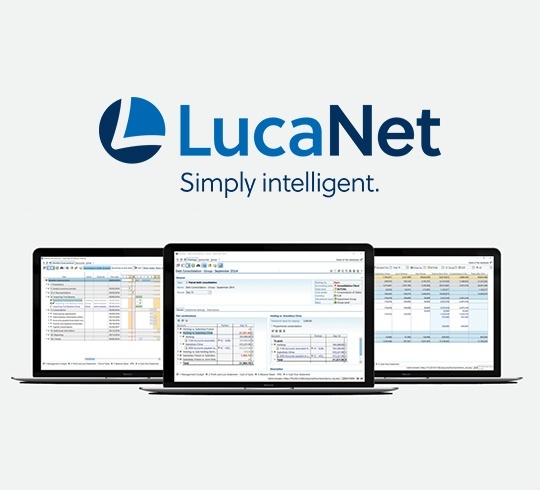 Monitor your business and get the answers you want quickly. 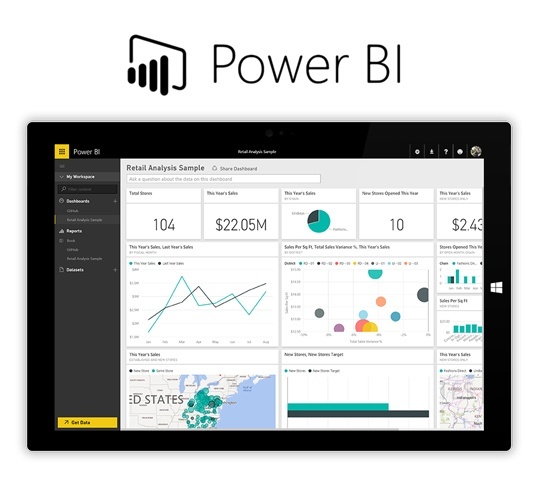 Available on every device, Power BI is the analytics tool for data visualisation and sharing insights. Seamlessly integrates with and leverages on other Microsoft products. Users will appreciate the familiar Microsoft look-and-feel. Includes Jet Reports, Excel, CRM and ERP software, web-service APIs like Salesforce, and even Zendesk, Twilo etc. Easily explore the data behind dashboards in one click, and access it on-the-go for even greater efficiency.